According to my research, of the 57,222 properties in Telford, 23,933 of those properties have mortgages on them. 88.0% of those mortgaged properties are made up of owner-occupiers and the rest are buy to let landlords (with a mortgage). 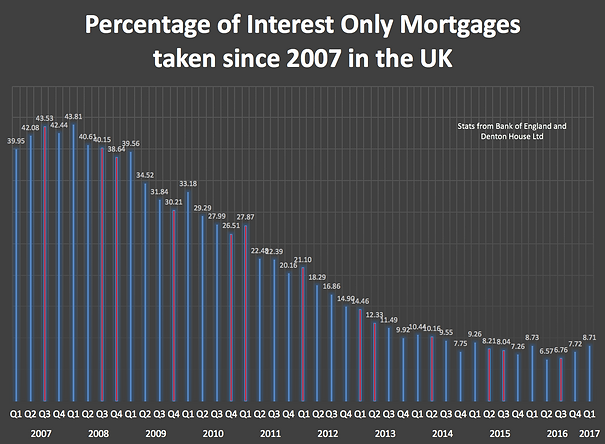 … but this is the concerning part .. 5,169 of those Telford mortgages are interest only. My research also shows that, each year between 2017 and 2022, 62 of those households with interest only mortgages will mature, and of those, 16 households a year will either have a shortfall or no way of paying the mortgage off. Now that might not sound a lot – but it is still someone’s home that is potentially at risk. Historically plenty of Telford homeowners bought an endowment policy to run alongside their interest only mortgage. However, because the endowment policy was a stock market linked investment plan and the stock market poorly performed between 1999 and 2003 (when the FTSE dropped 49.72%), the endowments of many of these homeowners didn’t cover the shortfall. Indeed, it left them significantly in debt! 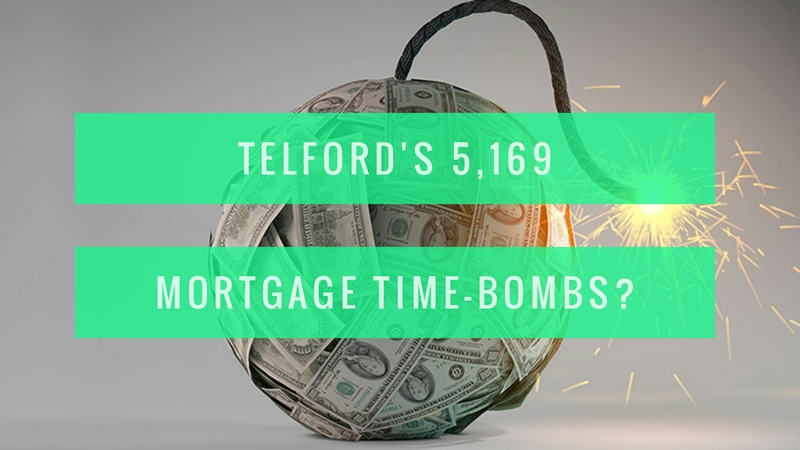 Telford people who took out interest only mortgages years ago and don’t have a strategy to pay back the mortgage face a ticking time bomb. It would either be a choice of hastily scraping the money together to pay off their mortgage, selling their property or the possibility of repossession (which to be frank is a disturbing prospect). I want to stress to all existing and future homeowners who use mortgages to go in to them with your eyes open. You must understand, whilst the banks and building societies could do more to help, you too have personal responsibility in understanding what you are signing yourself up to. It’s not just the monthly repayments, but the whole picture in the short and long term. Many of you reading my blog ask why I say these things. I want to share my thoughts and opinions on the real issues affecting the Telford property market, warts and all. If you want fluffy clouds and rose tinted glasses articles – then my articles are not for you. However, if you want someone to tell you the real story about the Telford property market, be it good, bad or indifferent, then maybe you should start reading my blog regularly.